Phone camera is a great place to start learning photography, as you don’t really have much choice over controls or lenses, as compared to DSLR. On the phone you just have to watch out for composition and the quality of light … and a few other things. Well easier said than done, right? Tip number one, a super easy one and very obvious, yet I see this kind of mistake over and over again. The lens on the phone camera is so small, that people forget that it is still – a lens. I mean you wouldn’t go shooting pictures on your DSLR if your camera lens was all covered with fingerprints, would you? The quality of images wouldn’t be that nice. Same with phone camera, but even to a greater extent, as normally lens is not protected with cap or hood and is in constant touch with other things and your hands. Now compare it to the image on the right. Here I cleaned my lens before taking a shot. See how much more contrast this picture has? There was no editing done to any of these pictures and the difference is purely because the lens was cleaned. Here is another more extreme example. See the difference? Normally I don’t even have a cleaning cloth to clean the lens, although I strongly encourage you to have one (because it’s the right way to do it). So, thing to remember, if you take an image and it appears to be hazy and not very sharp, first thing to do – clean your lens. In most cases it will be the reason. Light is obviously extremely important. In any kind of photography. 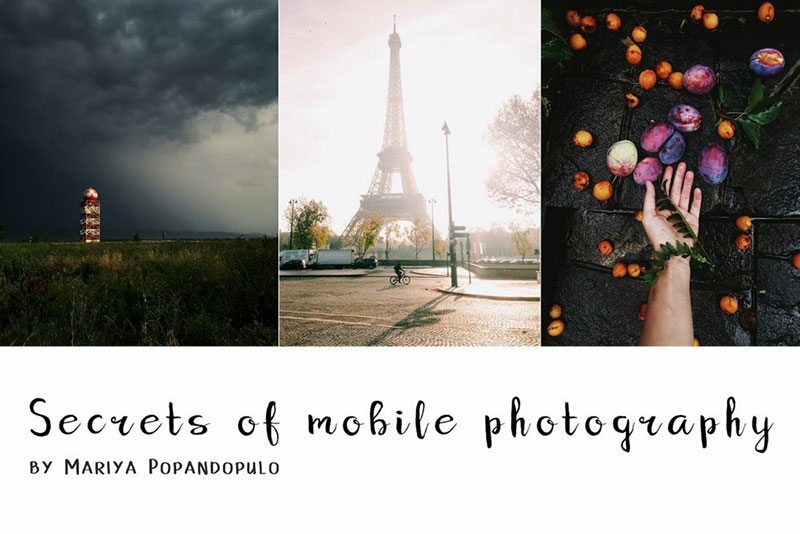 But so much more in mobile photography. Images taken in poor light conditions will have more noise. Noise in the picture is when your images become grainy. 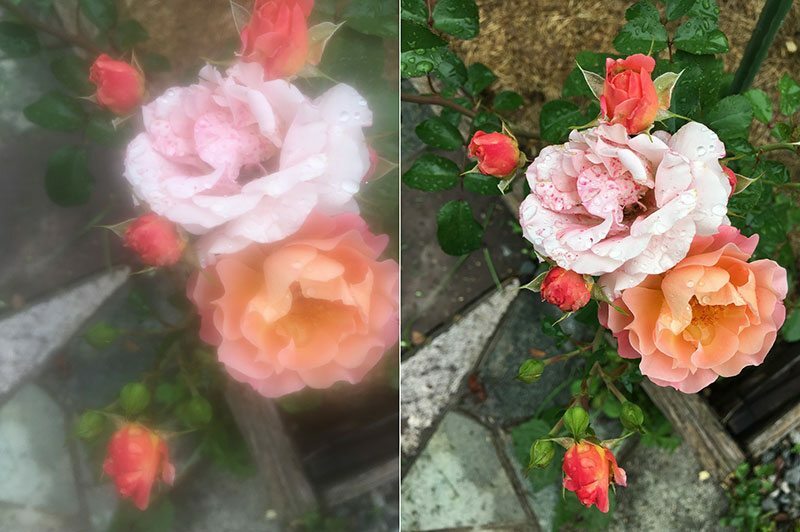 For example, here, the image on the left was taken during the day, with plenty of natural light, the image on the right was taken in a very late evening and you can see, that it has much more grain in it. Yes, there are programs to reduce noise, but no noise reduction program will ever match the quality of the picture taken in a good light conditions. That being said, don’t be afraid to shoot when light is not perfect, just be aware of the quality of the image. If you need to get as many details and as little noise in your image – shoot when there is enough light. Natural light is, probably, the best option in this case. So if you need your image to be as sharp as possible you have to make sure 1) you as a photographer hold your phone steady, even using a tripod, and 2) your object or model will not move. However, sometimes a little bit of blurriness can add an interest to the picture, making it more dynamic, like in the image on the right. Background is whatever behind your photography object. 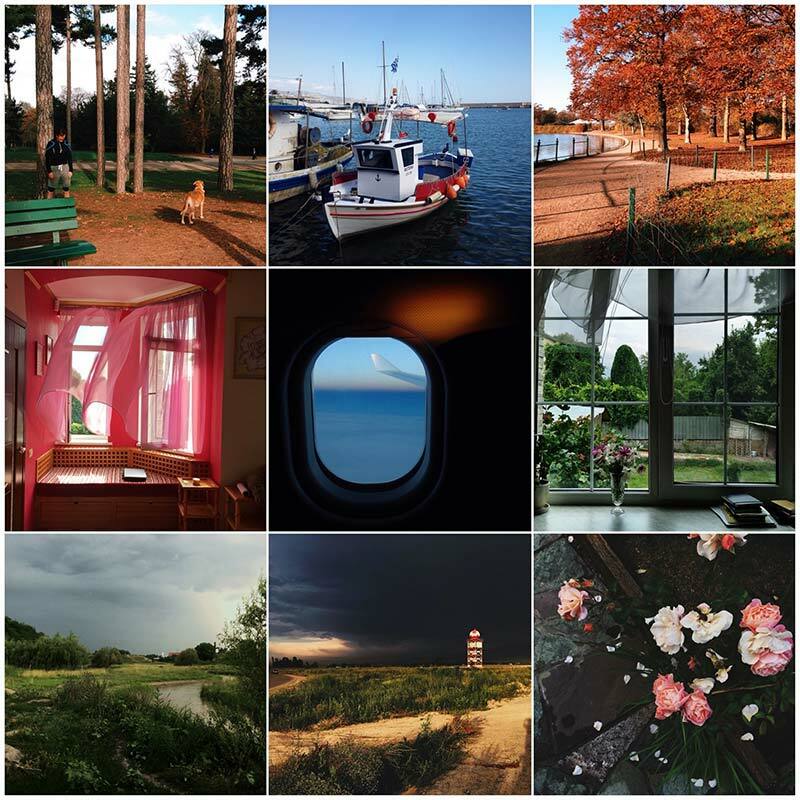 It is part of your composition and particularly important when you shoot on your phone. Let me show you an example. 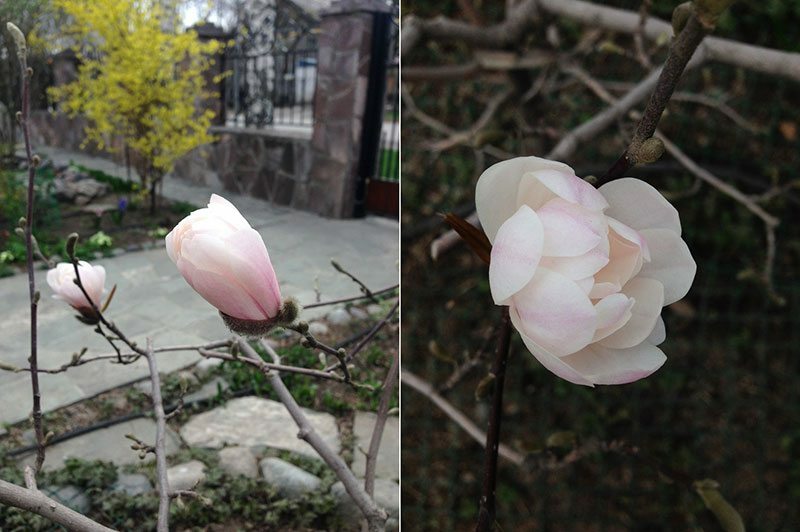 Both pictures were made with an iPhone, in both I captured magnolia flower. Now, as beautiful as it is, on the picture on the left our attention is distracted from the main object (flower) because the background it quite busy – with the fence, yellow bush and all other things. So it is hard to isolate and highlight your main object. Depending on your situation always, always consider background, because it will be part of your picture. If the background distracts from your main object, try different angle or different direction, like I did on the picture on the right. I simply captured the flower from above, the dark ground provided a good contrast to the light flower, but at the same time it didn’t distract the viewer’s attention. Add more variety to your photo album by making different pictures of the same subject (poppies in this case) by using more than one angle of shooting. So the first image is the typical picture anyone (me included) will make when faced with a lot of pretty red poppies. I mean your first photography instinct is to capture a beautiful scene as it was, right? Now, you can also get a little closer and try to create a bokeh effect by focusing on flowers close to the camera. 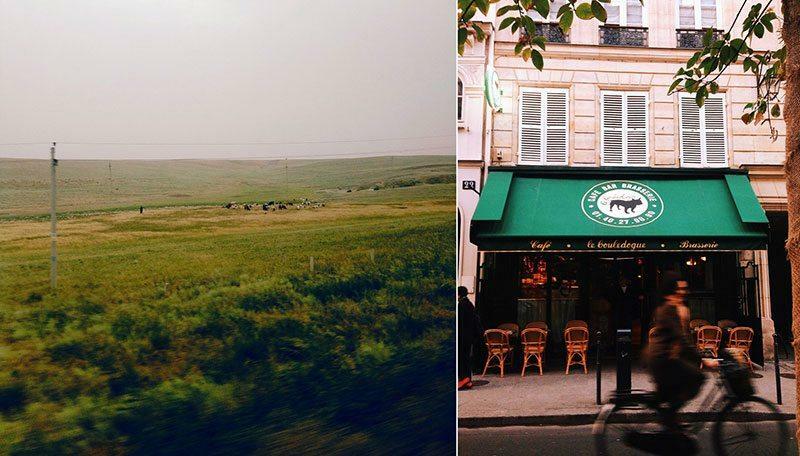 You can see that on the second picture there is a house in the distance. However, because the poppies are so close to the lens and I deliberately focused on them, the house is out of focus, which creates that “real” camera effect. Also, watch out for composition – see how poppies are making a frame, drawing attention to the house? Finally I got even closer and tried to separate a poppy from the scene. For that I shot the picture upwards – i.e. into the sky (because it was the only way really, to set a more neutral background). I firmly believe that editing to some extent not only will improve your pictures, but will also help define your style. Over the years of shooting on my phone I tried different editing apps and currently I mostly use VSCO. 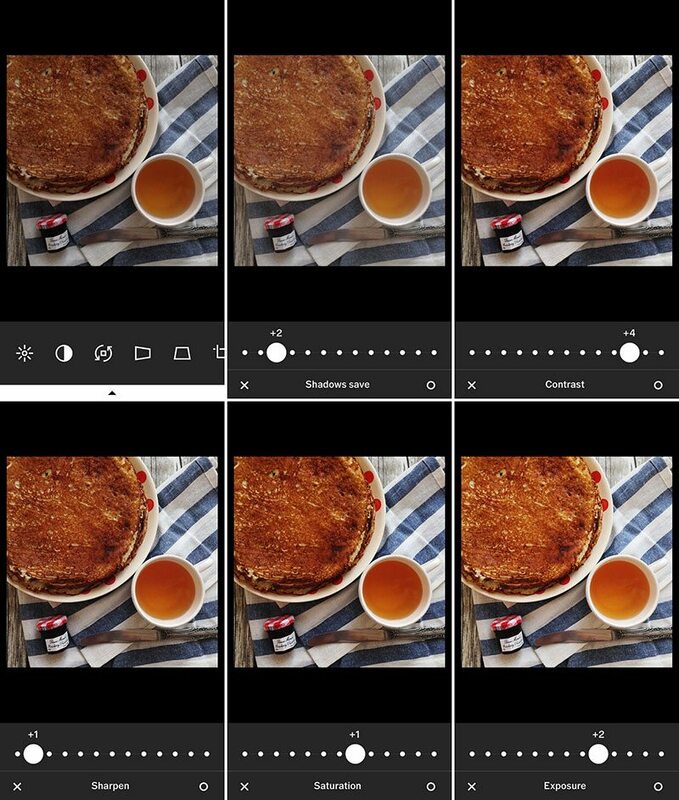 Filters are a personal choice and they affect the look of the final image quite significantly. For example, the images on the left were edited with more hazy F1 filter, while images on the right were edited with more contrasty K3, which also has some red tint to it. 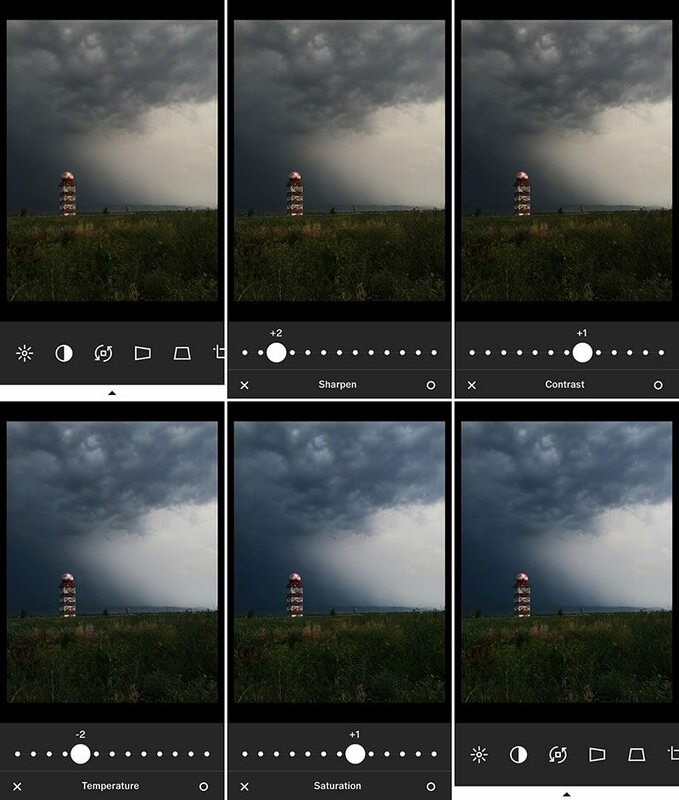 If you find filters too overwhelming or that they change your images too much, just don’t use them and make some personal simple edit instead. Here is what I normally do with my images. I almost always use sharpen tool, but just slightly +1/+2. Contrast adds a bit more drama to images, as well as makes colours stand out more. I don’t use temperature tool all that often, but in this particular case the image was too warm, the clouds look grey, rather than blue, so reducing the temperature helped getting more real life picture. Whenever I use saturation tool, I only dial +1/+2. 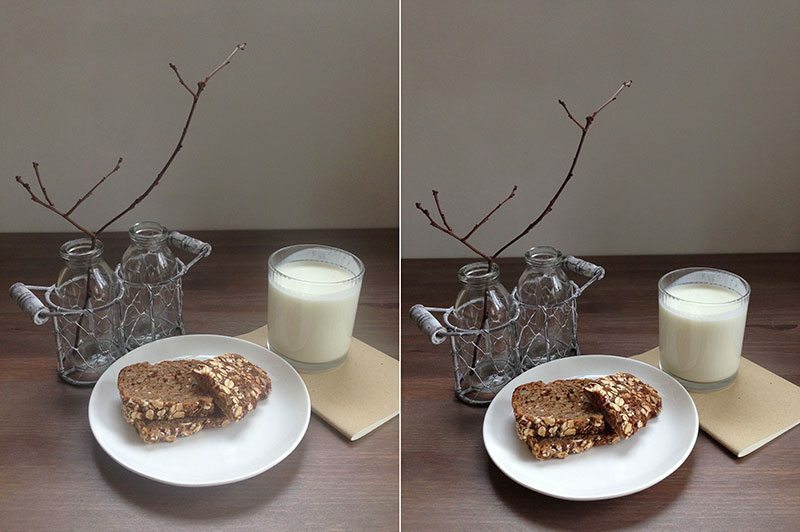 Here is another example, with a still life. As oppose to previous image, this one is suppose to be bright and cheerful, but the process is similar nonetheless. I first increased shadows. This made picture look brighter, but at the expense of contrasts, so next thing I did – increased contrasts quite a bit. As usual I used sharpen tool and then slightly increased saturation. It wasn’t really necessary, but I like a lot of colours, so it’s a personal choice really =) Finally, I decided that image needed a bit more brightening up and so I increased exposure too.